Put Becky on your home page! Click here to subscribe in a feed reader. Visit Becky's Web site to find the most up-to-date Calendar of Events. 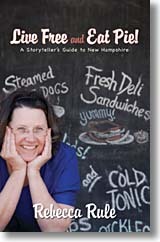 Ida LeClair - the funniest woman in Maine - offers up advice and opinions every week. NHHC is a private non-profit organization that strengthens New Hampshire by providing free public humanities programs in its communities. Becky writes a monthly "Slice of Life" column in this magazine. Mid-May and we’re all warm and cozy, but my thoughts harken to the long-ago-time, April 30, in Antrim. My program on New Hampshire Town Meeting had been rescheduled from a February evening when the roads were too slick with snow and sleet and God-knows-what-all to navigate. Originally, we were to meet in the downtown Antrim Town Hall, but in honor of spring, the meeting was now to be held at the historical Grange Hall. It happens the hall was unheated on account of the transition from wood stove to pellet stove was incomplete. But what the heck, it was the the last day of April. The day started out chilly and grew chillier. The organizer had the good sense to bring blankets, and draped them over the benches for the audience. And they wrapped up good. Over their coats. I wore my coat through the whole program. And did a lot of pacing. I encouraged applause from time to time, just to warm up their hands. Oh no, said the hardy Antrimians, we’ve been waiting a long time for this. So I gave them the whole load. ‘Bout an hours worth counting the Q&A and stories at the end. Followed by the traditional milling about, eating of sweets, and drinking of coffee, lemonade, etc. 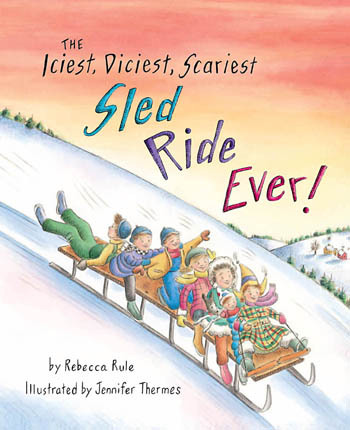 When I got to the car, my feet felt like two numb ice cubes at the ends of my legs. The thermometer on the dash read 39 degrees. New Story: Uncle Junior went down to Portsmouth to the fish market to buy for the family clam bake. He located a likely establishment: Daggert and McGregor Fresh Fish Market. There he encountered a fella who looked like he knew his way around a fish. He had on the high boots, the rubber overalls, and so forth. Uncle Junior said: “Are you Mr. Daggert or Mr. McGregor? “Dad,” a lady in Hampton told me, “was a hellion, even as a child.” Grandma was home with a bunch of kids when there was a knock of the door. It was the sheriff. Grandma said indeed there was. “What’’s the problem?” she asked. The sheriff explained that an eye witness claimed to have seen Peter Couples burglarizing a house in the neighborhood. Grandma called Peter in from another room. He was four. She asked for an explanation. No word on arrest, arraignment, trial or time served by young Peter. A lovely lady in Effingham, whom I’ve met at least four times and whose name I’m deeply embarrassed not to remember, told this story with a New Jersey accent only slightly tempered by years of living in New Hampshire. When I tell it, though, it’ll be full on New Hampshire. This went on for some time, until at last the husband was well enough to come home. The doctor said the husband must be told about the death of his cat while still in the hospital. Just in case. We also call the compactor at the dump “the hopper,” which makes sense — a hopper is a receptacle for something you want to get rid of. Another old New England saying is “sprinkle the lilies.” Day lilies like to grow near outhouses. Hence the connection. My friend Dana added these to the collection: "drop the kids off at the pool," "take the Browns to the Superbowl," "give birth," and her favorite; "release the Kraken." These are all new to me. Dana’s not from around here. I suspect these expressions are from her native New Jersey. And here is another one: "I've got to see a man about a horse." But getting back to the hopper... here’s an old story of mine with a hopper front and center. One of the selectmen, who was rumored to have a drinking problem, showed up at the dump unsteady on his feet. Maybe it was mouthwash that made his breath tangy. Or maybe he had one of those inner ear infections that upset his balance. Any of these reasons could have made him unsteady. You hear different things. Anyway, this selectman was heaving a heavy bag into the compactor. Kermit, the dump master, calls it the crusher because when a bunch of bags get piled up, he pulls a lever and the steel slabs inside the compactor come together. Everything gets squished. Anyway, back to the story. This selectman was swinging this heavy bag like a pendulum, and when he worked up the big swing to toss it, evidently he forgot to let go. He and the bag sailed over the railing, and down they went. Luckily, the crusher was near full at the time so there was plenty to break his fall. There he lay, spread-eagled. His eyes were open but he didn’t say anything. The bags puffed up around him. The customers gathered around, wondering how to get the selectman out of the crusher. The turkeys in the backyard, twenty or twenty five of them, seem pretty tame to me. I remarked that even I could shoot one of them, no problem. My mother remarked that come turkey season, these same turkeys will make themselves scarce. They know. She added that hunting season starts in early May, which coincides with mating season, which doesn’t seem exactly fair to me. Shouldn’t turkeys be concentrating on making little turkeys rather than running for their lives? I looked it up. Sure enough, turkey hunting season in New Hampshire is May 3-31. Limit: one male or bearded turkey. Hours: Thirty minutes before sunrise to noon. Legal methods: Archery or shotgun (10, 12, 16 or 20 gauge, using 2 or smaller size shot). All this reminded me of a story I heard long ago, but haven’t told in awhile. Spring (it is spring, isn’t it?) seems like a good time to haul it out of mothballs. Years ago the salmon used to run heavy up the Cockermouth River into Newfound Lake. Of course, when the salmon were running up river to spawn, you couldn’t fish for them. It wouldn’t be fair. They had their minds on other things. Nancy was in the backyard hanging laundry when she heard shooting down by the river. In other parts of the country, like Boston, if you hear gunfire you head in the other direction, but in New Hampshire, when you hear gunfire, you investigate. Which is what Nancy did. She walked cross country through the woods, clambered over a stone wall or two and came to the river, where she saw her neighbor Charlie sitting on the back with a .22 across his knees. “Charlie, what are you doing?” she said. Nancy looked and beyond Charlie in the ferns she saw three beautiful big salmon, all laid out, not looking too lively. “Shooting muskrats, huh!” she said. Since my mom moved in with us, five weeks ago, everything’s been different -- and better! For one thing, she’s a better housekeeper than I am. Among the items she requested we bring down from her old house: a dust mop. Make that two. She’s been dust mopping the heck out of the place. So now we have three generations under one roof. My daughter and her significant other, my mom, my husband and me (plus four cats, four cockatiels, three dogs, and a macaw). It’s a party! A couple of days ago, this example of the language of different generations came to my ear. My daughter wrote it down and posted it on Facebook, so I know I have it exactly right. Though I will add a bit of context. So I say to my mom, “How about a game of Upwords?” She likes Upwords because she almost always wins. Adi (that’s the daughter) is at the table. She says she’ll play, too. She has played. Many times. With Ma. I remember my grandparents and aunts saying the same thing. This harkens to the days of the outhouse, when out yonder was out of the house, down the trail and behind the barn. The sugaring season wasn’t as good as we expected, but we didn’t think it would be. We didn’t expect to make a lot of money, and we didn’t. Frost heaves on the road? Yup we got a lot of them. That’s the way we like it. Keeps out the riffraff. At Proctor’s General Store in Enfield (a while ago), a half dozen old boys were shooting the breeze about how cold it got out their way during this latest snap. One said five below. Another said ten below. "Fifteen below at 5:00 a.m.," said the third. Which reminds me of a story I wrote a decade or so ago. The idea came from some story somebody told me, but I can’t remember who. Nevertheless, here it is, smoothed out by time and retelling, but with more than a snowflake of truth to it. It’s a conversation among some old boys at a general store, could well have been Proctor’s. Yes, it was a cold winter. No question about it. But there’ve been colder. Royal remembered his Grampa John telling about one in particular. Ezra is known to be warm blooded. “Is that right?” Royal says. My friend Susan Bruce sent these two sweet, old Dunbarton stories. Thanks, Susan -- and happy town meeting season! Approximately 40 years ago, my friend Lynda stopped in to visit her mother in Dunbarton. Mom had just been to some event that resulted in her bringing home a dozen donuts. A man was there pumping the septic, and had his two little boys with him. He finished up and went in to be paid, and Mom offered them a donut. The boys happily accepted, as did the man. Mom showed him the way to the bathroom to wash his hands, and he said thanks, but he wasn't going to bother, since they'd just get dirty again at the next job. Lynda had a conversation with the Road Agent some years ago about the sanding hills in winter. She questioned the methodology the road crew was using. He told her that his crew sanded the uphill side of the roads. Which somehow reminds me of another story: a mountain story. When asked by a hiker if a certain mountain trail was steep, the local replied: “If anything, it leans forward a little." This time of year, feels like it’s all uphill all the time. I'm still waiting for March to march out like a lamb. My mom’s been telling me lots of stories lately. One of the big adventures of her life was traveling to New York City with a couple of girlfriends when she was in her early twenties. She wanted to go see the The King and I but ended up at Pal Joey. But, she says, in a way it worked out. A friend of one of the girls was in a show and they were waiting for her at the stage door when along comes Yul Brynner. He stops to chat. Where are they from, he wants to know. New Hampshire. Where in New Hampshire? They tell him they’re from Concord. Here’s a picture of my mom, Jean Stewart, at that age. I don’t think he’d have been much bothered. 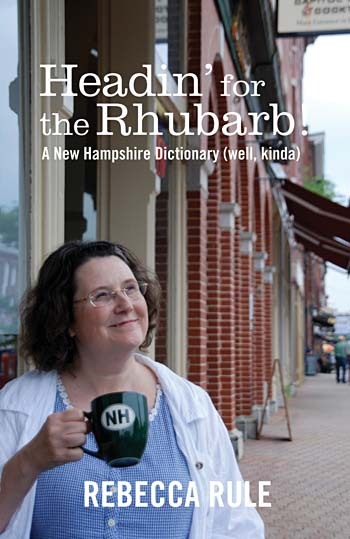 Rebecca Rule, author of Live Free and Eat Pie: A Storyteller’s Guide to New Hampshire, spends a lot of time on the road, traveling to her performances throughout the Granite State and beyond. She loves her home state, meeting lots of great people and visiting both new and familiar places. She shares stories that she finds with her this blog. So please "join" her on the road and check back often. Becky has lived all her life (so far) in New Hampshire. 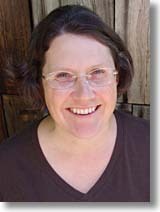 She has written several other popular books set in her home state, including "The Best Revenge," a collection of short stories that was named one of the five Essential New Hampshire Books by New Hampshire Magazine, and "Could Have Been Worse: True Stories, Embellishments and Outright Lies." However, she is probably best known for her live storytelling events, many sponsored by the New Hampshire Humanities Council. Comments? Questions? Send e-mail to Becky Rule.